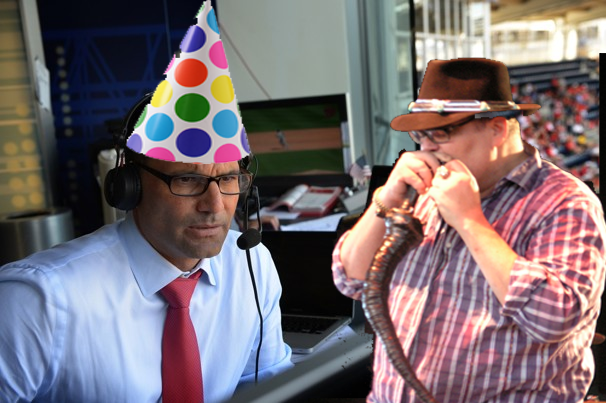 Woeful Nats: Party At FP Santangelo's House!!! Party At FP Santangelo's House!!! "Free post game post concert at my house after, we're gonna have a party and everybody is invited, come on over"
Well, that was a funny statement. Funny...but according to several Nats fans watching the game, an open invitation. Bob Carpenter said FP opened his "big yapper" after FP was bombarded with tweets...see you June 8th FP!!! "It's amazing how many Nats fans are still up going to my party"
@fightinhydrant party at F.P. 's house on June 8th. #NATITUDE. Sweet, I'll go to the party at @fightinhydrant's house.I'll get some pizzas - with #steak topping? @fightinhydrant any time. We're there. @fightinhydrant Boom!At tha party yo!